Jr. Badgers can Play Hard. Get Fit. Live Well., too. We offer several opportunities throughout the year for youth to get involved in Rec Sports programs. Bring Your Kids to Campus for a Summer of Fun. 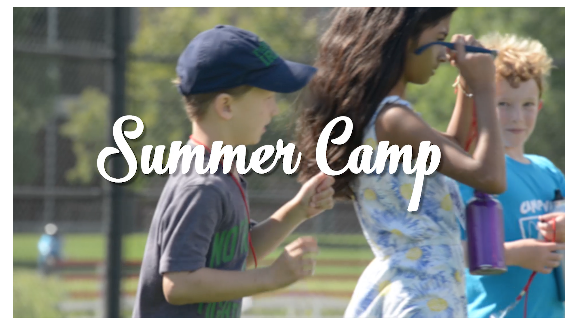 Our day camp features campus field trips (such as with Outdoor UW and Babcock Hall Dairy Store), recreational activities, and more for 10 one-week sessions. We strive to provide a supportive and enjoyable environment where learning and fun go hand in hand. Each participant will receive one complimentary summer camp t-shirt. (Score!) 2019 registration is now available, click the button below! *All drop-off and pick-up times are included in registration. Click here for a map of pick-up and drop-off locations. Participants should come to camp dressed for a full day of activity. We recommend outdoor activity clothes and activity shoes. Open-toed shoes will NOT be permitted. Campers should bring aforementioned items in a well-marked backpack or athletic bag. Each child will receive one complimentary summer camp t-shirt as a keepsake for attending camp. Parents should pack a small snack for the morning and afternoon along with a lunch each day for their child. We cannot provide refrigeration, so please pack all food in an insulated lunch box and mark everything you bring with your child’s name. Absolutely no sharing of food is permitted among campers. Campers may bring cell phones as long as they are kept in their bags at all times and do not cause distractions during the day. Staff is permitted to confiscate any electronic devices deemed a distraction to planned activities. Rec Sports is also not responsible for lost, broken, or stolen items. All emergencies can be communicated directly to the Camp Coordinator (608-262-9398) or to the UW Natatorium front desk (608-262-3742). Rec Sports reserves the right to dismiss a camper if their behavior jeopardizes the other campers’ safety and well-being. Rec Sports reserves the right to cancel any session or modify activities due to under enrollment, facility problems, staff concerns, or circumstances beyond its control (i.e. rain, electrical outages). Parents will be notified immediately if a session is altered in any way. *If a participant must cancel a session, the session deposit will be forfeited. All cancellations must be made in writing. Our energetic and well-qualified staff are ready to spend an exciting summer with the campers. The staff is comprised of UW professionals, certified school teachers, and highly motivated college students. The camp is under the direction of Chad Schultz, who is a professional staff member at UW Recreational Sports. Day of Play is a community outreach initiative for elementary school students grades K – 5. This event shares the “Play Hard. Get Fit. Live Well.” mentality with school-age children of all skill levels. 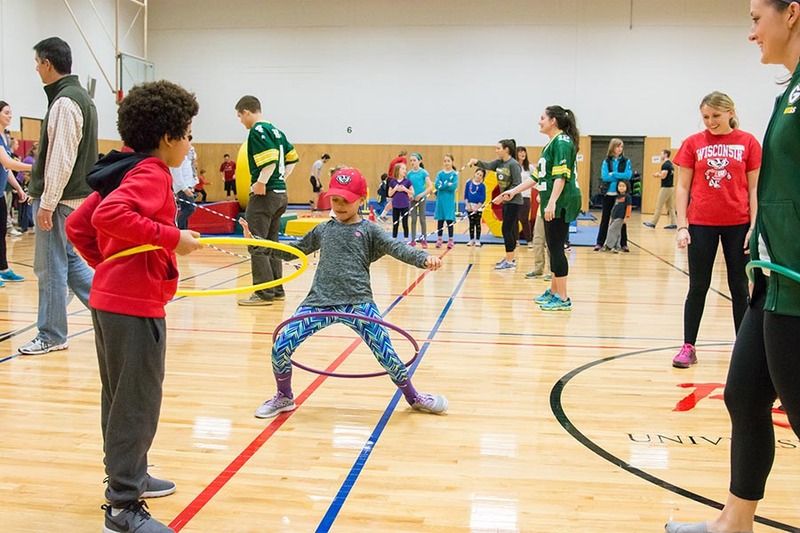 Join in a day of fun, movement-based activities led entirely by UW-Madison students! Please join us again in 2020! Parents are required to stay through the duration of the visit. Parents and families are encouraged to participate in this event, as well.